A short program for two great targets on the glaciers of the Marmolada area. 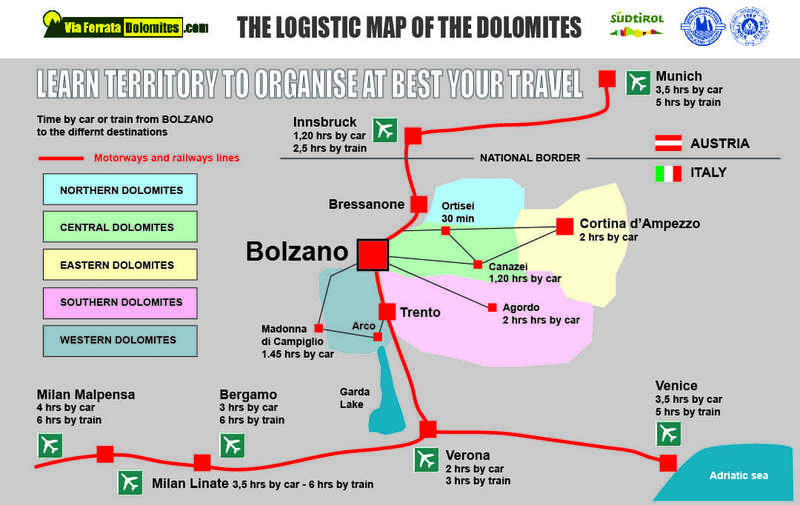 The combination of the via ferratas of the West Crest in Marmolada and of the Mount Padon is the hardest combination of First World War of the Dolomites. Both via ferratas are originally of the First World War and was part of the first line of the front. 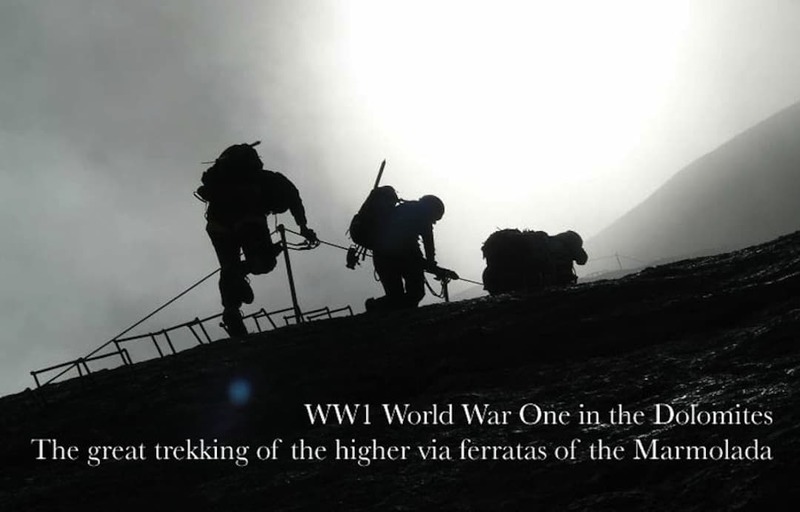 We climb and walk along two very long ridges, where every meter of via ferrata we can see bunkers, observatories positions, refugios for the soldiers, telegraphic lines and more….. It’s a amazing tour into the reality of the vertical war of the 1915/1918. For this via ferrata trekking you need have a basic hiking experience and a good physical condition. We will walk and climb in high mountains, until the maximal elevation of the Dolomites: Punta Penia 3343 m.
This program is particularly indicated especially at hikers interested at the First World War history with a good fitness and a short targeted time. We start from your hotel and go to the Fedaia pass to climb the via ferrata of the west ridge of the Punta Penia. This via ferrata is generally easy for the climbing technic, but it’s long and the return is on the glacier along the regular route. For this reason you need have appropriate mountain clothing and mountain boots or heavy trekking shoes to dress the ice crampons that I give you. The particularity of this via ferrata is that: about 75% of the iron steps is “original” of 1916/17…. (don’t worry… are in good conditions and the safety iron wire is new), you will climb of the same steps of the Austro-hungarian soldiers…. 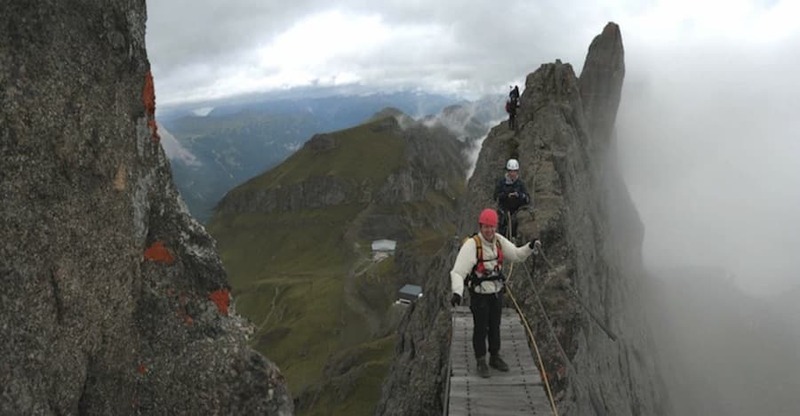 We start from the Hotel Fedaia and climb the via Ferrata delle Trincee (the via ferrata of the trenches) exactly on the opposite side of the big glacier of the Marmolada. The first part is a difficult and athletical wall, but then is a very interesting extended sequence of the front line austrian and then italian, along bunkers, trenches and other incredible construction in this vertical allocation. It’s a optimal occasion to enjoy the complete overview on the glacier of Marmolada and on the via ferrata of the west ridge, a natural completion of a intense and amazing two days tour!